Mariani Walnutmilk is rich in calcium and other important nutrients and has significantly less sugar than dairy or many plant-based milks. It has 50 percent more calcium than typical dairy milk and only 45 calories per eight-ounce serving. That’s less than half the calories of one-percent milk and fewer calories than many plant-based milks. In addition, walnuts are a significant source of ALA, a plant-based omega-3 fatty acid that has been found to benefit heart health. 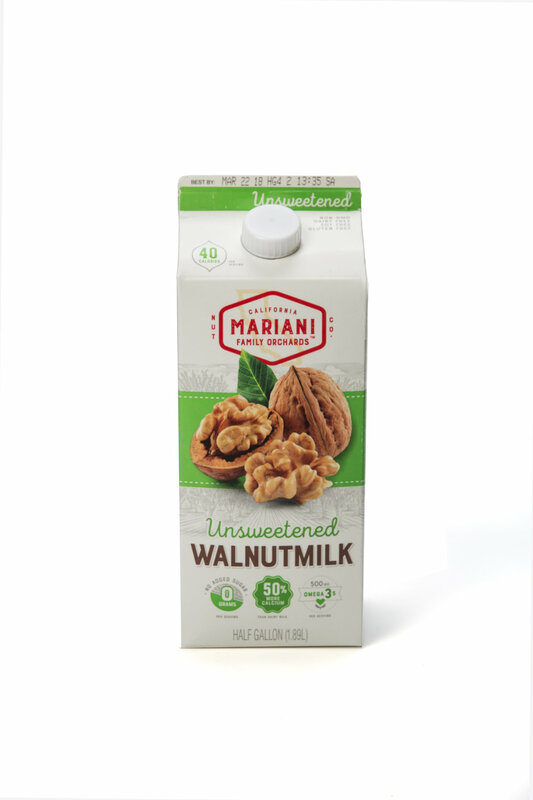 Available in original, vanilla and unsweetened flavors, Mariani Walnutmilk is gluten, dairy, lactose and soy-free. It is also non-GMO, has no artificial colors, flavors or carrageenan and is made with 100 percent California-grown walnuts.